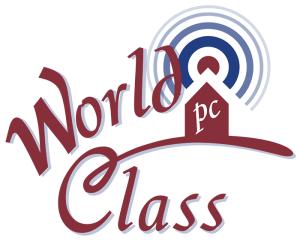 At World Class PC we are committed to helping you protect your greatest investments, while maximizing your enjoyment and efficiency. We bring the most up-to-date technology to your home & business. World Class PC has been serving the Evansville, Indianapolis, and surrounding areas since 2000. (left to right) Dustin O’Brian, Belinda O’Brian and Donnie O’Brian complete the team for the family owned and operated World Class PC. Together they bring quality customer care and professional services to their clients.